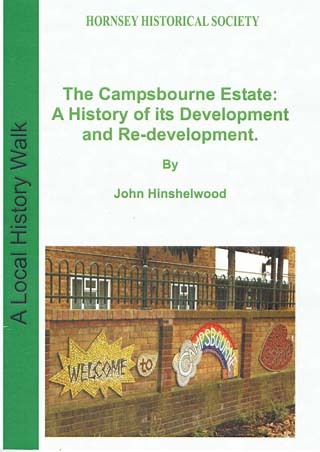 This 24-page booklet traces the history and development of the Campsbourne housing estate on the north side of Hornsey High Street from the late 1860s to the present day. It includes a walk through the area identifying the different types of architecture and other features and has 21 illustrations comprising maps and old and present-day views. John Hinshelwood lives in Harringay and was HHS Curator & Archivist, 1998-2005. He gained an MA in Metropolitan & Regional History in 2007. John is a frequent contributor to the HHS Bulletin and spends his time researching and writing on aspects of local history. He is the author of several books. For a number of years he was Secretary of the LAMAS local history committee.